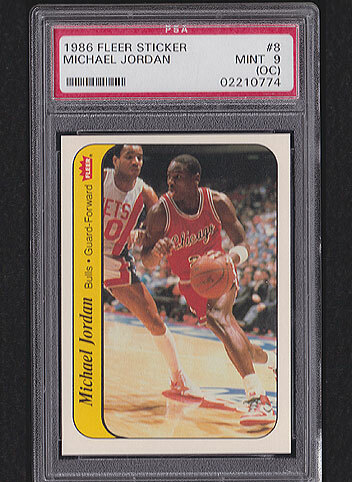 Details: Gorgeous iconic 1986 Fleer Stickers Michael Jordan #8 Rookie graded PSA 9 (OC). 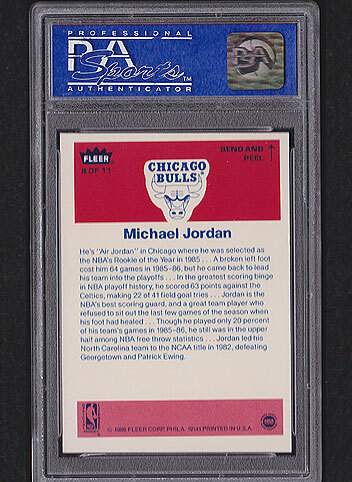 A great opportunity to own a Jordan RC. FREE SHIPPING AND INSURANCE!